Preview of the current situation in a city in Israel, where they managed to handle overcrowding. Government organizations around the globe are doing their part in trying to address the issue of overpopulation and sustainable urbanization. MASHAV, for one, is an agency in Israel that focuses on International Development Cooperation. They offer international courses and workshops that focus on developing basic health and education services, to reduce poverty, provide food security, and empower women. MASHAV says half of the world’s population already resides in cities. They predict over two billion people will live in urban locations in the developing world in the next 30 years. Cities are where innovation, employment and economic growth begin. They are centers of modern living and indicators of literacy, social mobility, women’s status, and general health and well being. However, overcrowding cities lead to dire health and environmental consequences, especially with the rise of urban poor populations living in informal housing or slums. The UN-Habitat says there are around 823 million people residing in slums across the globe. Africa houses 72 percent of these slums, while Asia and the Pacific accounts for 43 percent. 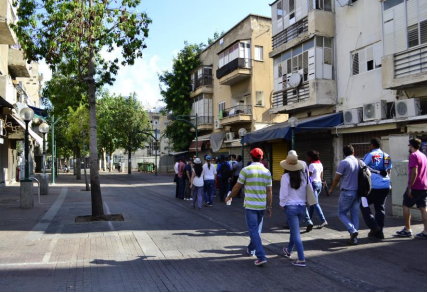 This August, MASHAV will introduce the international course, “Addressing the Urbanization Challenge – Slum upgrading and migration to the city.” It encourages participants to create a comprehensive strategy on how to address the challenge of urbanization. The approach must preserve management and financial mechanisms. They must also plan the stimulation of economic growth, integration of land use planning, construction of infrastructure, protection of the environment and the promotion of social cohesion. Israel has an urbanization rate of around 92 percent and is one of the most urbanized countries in the world. Still, they were able to revitalize poor urban areas and integrate immigrant social groups from different origins and backgrounds. Their extensive knowledge and hands-on experience will serve as vital lessons for participants and their communities. The course “Addressing the Urbanization Challenge – Slum upgrading and migration to the city” will run from August 30 to September 29, 2016. For application forms and other information, visit: http://mashav.mfa.gov.il/MFA/mashav/Courses/Pages/default.aspx.